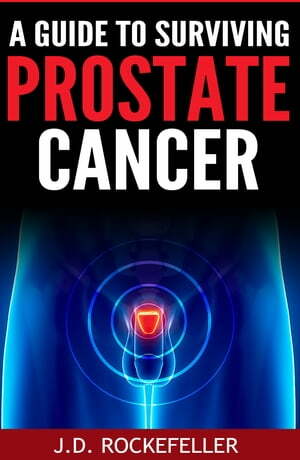 Collins Booksellers - A Guide to Surviving Prostate Cancer by J.D. Rockefeller, 9781311572639. Buy this book online. There is no doubt that cancer is on the rise worldwide. None of us are safe from this deadly disease. It can happen to anyone at any age and it doesn’t matter at all whether you are 8 years old or 80 years old. Although cancer is quite a scary disease, the good news is that it can be treated if you catch it at the early stage. This is true for almost all types of cancer and it is so for prostate cancer as well. One of the most common cancers affecting men, prostate cancer usually grows slowly in the beginning and remains confined within the gland itself at the early stages. If detected early, that is, when confined to the gland, prostate cancer has a better chance of being successfully treated. This guide is here meant for men and their families. It is meant for people who are suffering from prostate cancer. It is meant for people who want to prevent this cancer. It is also meant to help men detect this cancer at its earliest stage. Read this guide thoroughly and you will find out that there is a lot that you can do to survive prostate cancer.